Who says the world isn’t ending? Who says the Mayans weren’t right? And why did we imagine that the end of our world was the end of the whole world? “It’s called capitalism,” he said. “We are proudly capitalistic. I’m not confused about this.” I found this in the Telegraph here. No, it’s the rest of the political classes who are confused; who seem to have forgotten that maximising shareholder value is what companies are for, and that this one virtue trumps all others – especially when no law has been broken. Socialists, Greens, people who believe in outlandish ideas like steady state economics or real fairness in society are often derided as romantics or fantsists, but I think the free marketeers trump us all. In the face of daily evidence of the single minded drive to acquire, control and create shareholder value that is modern capitalism they still try to convince us that there is a higher morality in all this. Grow up. Listen to Eric Schmidt and, if you want to change anything, try changing the law if you can. 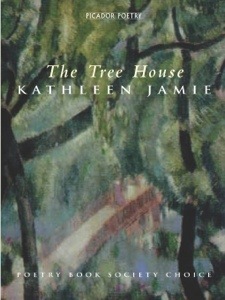 The poem is from The Tree House. Buy it here. In Frans Bengtsson’s book, The Long Ships two captured vikings sit on a bench and await beheading. To pass the time they speculate about whether the head still controls the body when it is separated from it. They agree to put the matter to the test. The first to lose his head will try, after, to pin his brooch into the ground. Good empirical science a long time before Frances Bacon caught cold in the snow testing refrigeration on chicken carcasses. The brooch of course fell from the fingers, but, for me it left the question of the survival of consciousness unanswered. Even if the severed head loses control of the limbs, does consciousness persist at all? Here, then, is what I was able to note immediately after the decapitation: the eyelids and lips of the guillotined man worked in irregularly rhythmic contractions for about five or six seconds … I waited for several seconds. The spasmodic movements ceased.The face relaxed, the lids half closed on the eyeballs, leaving only the white of the conjunctiva visible, exactly as in the dying whom we have occasion to see every day in the exercise of our profession, or as in those just dead.It was then that I called in a strong, sharp voice: ‘Languille!’ I saw the eyelids slowly lift up, without any spasmodic contractions … Next Languille’s eyes very definitely fixed themselves on mine and the pupils focused themselves … After several seconds, the eyelids closed again, slowly and evenly, and the head took on the same appearance as it had had before I called out.It was at that point that I called out again and, once more, without any spasm, slowly, the eyelids lifted and undeniably living eyes fixed themselves on mine with perhaps even more penetration than the first time. Then there was a further closing of the eyelids, but now less complete. I attempted the effect of a third call; there was no further movement and the eyes took on the glazed look which they have in the dead. More examples and the full article here. Here is a very nice picture of the chairs powerful people sat in through the ages. It is quite pointless. Inaccurate too. The Stone of Scone was returned to Westminster in time for the current Queens’ coronation – unless you believe that it is in fact a replica. “The venture is the brainchild of businessman Paddy Dunning, who came into ownership of the Popemobile when he acquired the Wax Museum some years ago from former politician Donie Cassidy. 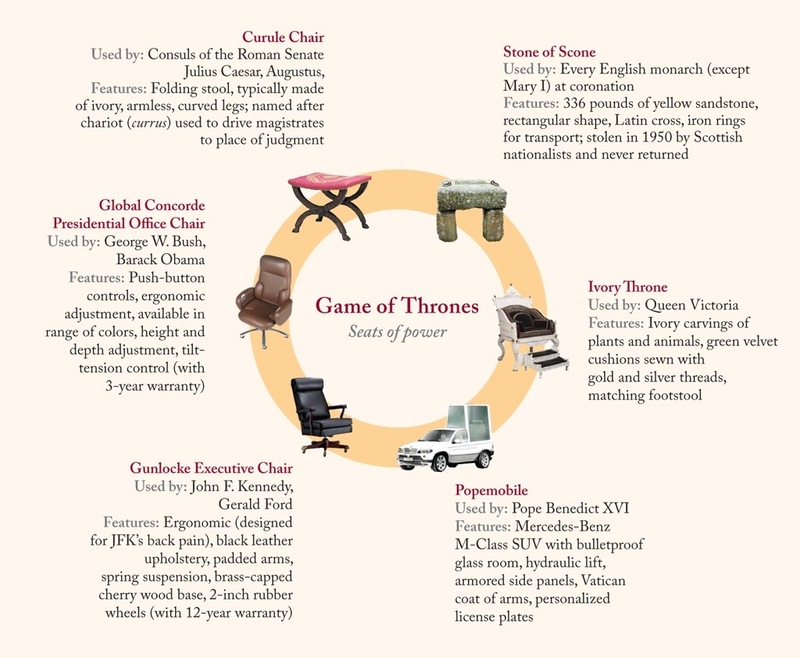 That’s the stuff – now, what could you do with those old presidential office chairs? There was a good piece in the London Review of Books by Adam Shatz called Why Israel Didn’t Win. It’s a thoughtful analysis of what Israel hoped to gain from the recent attacks on Hamas in the Gaza Strip and why the cease fire is no victory for them. “The fighting will erupt again, because Hamas will come under continued pressure from its members and from other militant factions, and because Israel has never needed much pretext to go to war. In 1982, it broke its ceasefire with Arafat’s PLO and invaded Lebanon, citing the attempted assassination of its ambassador to London, even though the attack was the work of Arafat’s sworn enemy, the Iraqi agent Abu Nidal. In 1996, during a period of relative calm, it assassinated Hamas’s bomb-maker Yahya Ayyash, the ‘Engineer’, leading Hamas to strike back with a wave of suicide attacks in Israeli cities. When, a year later, Hamas proposed a thirty-year hudna, or truce, Binyamin Netanyahu dispatched a team of Mossad agents to poison the Hamas leader Khaled Meshaal in Amman; under pressure from Jordan and the US, Israel was forced to provide the antidote, and Meshaal is now the head of Hamas’s political bureau – and an ally of Egypt’s new president, Mohamed Morsi. Shatz doesn’t make the point but, reading this litany of strikes and interventions, a cynic could be forgiven for thinking that Israel had decided that it had more to gain from disrupting Palestinian peace initiatives than any serious pursuit of a settlement. If Shatz is right though, instability and the changes in the region begin to make it look a dangerously short term and short sighted tactic.